As a part of the Kinetic Group of companies, MV Agusta has launched the much anticipated Brutale 1090 in India with an introductory price tag of Rs 19.3 lakh (ex-showroom Pune). Bookings for the superbike has already started through the company’s newly launched website. The company will deliver the new Brutale 1090 superbike to the first 10 customers in the next 20 days. Kinetic Motoroyale, the initiative through which MV Agusta will sell and service its bikes in India, will be opening dealerships across several cities soon. Built around a steel tubular trellis frame, the superbike will be brought to India as CBU, this could be the reason behind the Brutale 1090 high price tag. 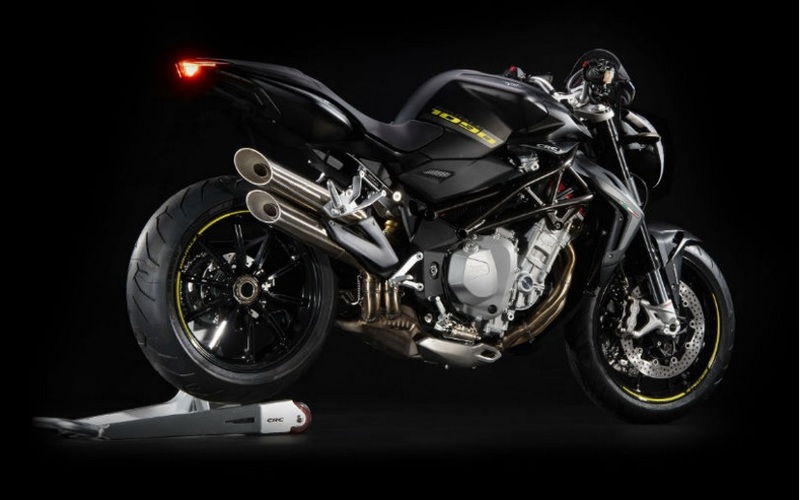 The superbike is available in matt black and matt white color shades and features Marzocchi upside-down telescopic front forks along with a Sachs monoshock absorber at the rear. The breaking power is managed by dual 310 mm disc brakes with Brembo 4-piston callipers at the front and 210 mm disc with a Nissin 4-piston calliper at the rear. The MV Agusta Brutale 1090 is powered by a 1078cc, liquid cooled, inline-four, 16-valve engine that develops 144PS of maximum power and 112Nm of peak torque at 8,100rpm. The superbike can achieve a claimed top speed of 265kmph. The motorcycle has a dry weight of 183kgs and comes equipped with a fuel tank capacity of 23 litres. MV Agusta comes packed with features such as an eight level traction control system, 4 inbuilt riding maps and a two step ABS.